Facebook has given Russia’s Yandex search engine full access to all the data made publically available by its users. Yandex has struck a deal with Facebook that gives it full access to all public data posted on the world’s most popular social networking service, the Russian Internet giant has said in a press release. Until now, only Microsoft’s Bing search engine was able to search Facebook public date. Yandex is now able to index publically available user profiles, posts and comments on Facebook. Yandex will initially focus on indexing public data generated by users from the Commonwealth of Independent States (CIS) countries and Turkey. Non-private Facebook posts can already be searched using the Yandex.Blogs service, allowing, for example, a glimpse into the kind of news Facebook users are sharing ahead of the Sochi Olympics. 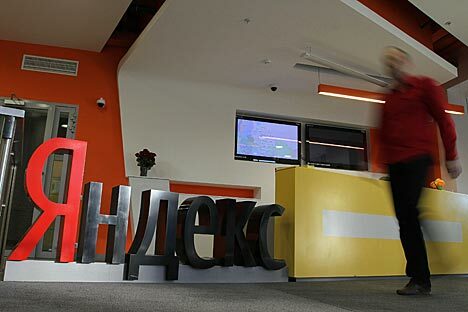 “We keep in constant touch with Facebook on a variety of issues,” a Yandex representative said. “In the latest development, we have agreed that we can now use Facebook data to provide answers to our users’ search queries. The advantage for Facebook here is that there will be more clicks on Facebook links from the Yandex search results page." At the moment, Yandex can search non-private posts left on Facebook pages by users from Russia, Ukraine, Belarus and other CIS countries. Yandex users can now see what kind of hot topics are being discussed on Facebook, and will soon have access to the comments section. Naturally, private Facebook profiles and posts will not appear on Yandex. Where appropriate, Yandex intends to augment its search results with relevant recent articles and video clips that have drawn Facebook users’ interest. Its search results ranking will also take into account the popularity of each individual result among Facebook users.